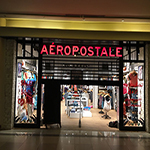 Quattro Trading & Services Launches their 4th AEROPOSTALE Store at Mall of Arabia. 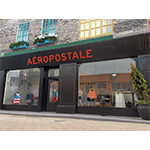 Quattro Trading & Services is happy to announce that they finally launched their 3rd AEROPOSTALE store at City Stars Egypt. 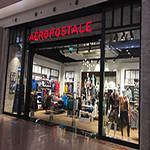 Q&A Retail a subsidiary of Quattro Trading and Services is delighted to announce the Launch of it's 2nd AEROPOSTALE store which will be located in the iconic Mall of Egypt. 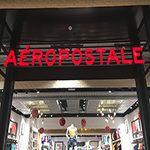 Q&A Retail a subsidiary of Quattro Trading and Services launched its first AEROPOSTALE Seasonal store at THE ALLEY located at Hacienda Bay North Coast. 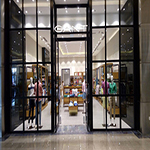 The long awaited Mall of Egypt finally launched and so did Quattro Trading & Services' 6th GANT store located at Mall of Egypt. 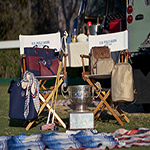 SQ 11 is a subsidiary of Quattro Trading & Services is excited and delighted to announce the launch of its 3rd US POLO ASSN store located at City Center Doha. Quattro Trading & Services in cooperation with a team from SRSDP (South Red Sea Development Project) and HEYA for Family & Community Development NGO launched their Third clothing drive this year targeting the unfortunate of the south. Team building and strong communication is a vital to Quattro Trading & Services’ success. The company’s Managers all went on a fun team-bonding trip to Movenpick Sokhna for an adventure packed 2 days. 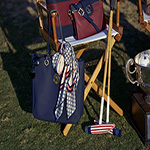 Everyone was ecstatic and looking forward to it not knowing what was in store for them during these two days.